Steven Herrick is one of my favourite YA authors. His gentle humour and vibrant characters bring both light and heart to difficult topics. 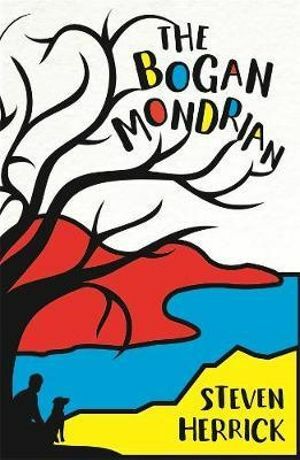 If you enjoyed Love, Ghosts and Nose Hairs or The Simple Gift, then you won't want to miss The Bogan Mondrian. Luke wanders the bush and swims in the reservoir on the occasional school day. It's not that he hates school. His best mate, his only anchor, is there. It's just that he just hasn't recovered from losing his dad. Rumours about why Charlotte moved to town are rife, but nothing is as it seems. While Luke tries to come to terms with losing his dad, Charlotte dreams of one thing: getting rid of hers. It's rare to find Young Adult Fiction that handles the choking fear of domestic violence but The Bogan Mondrian does this in spades. And yet, a realistic glimmer of hope prevails. Steven Herrick deftly mixes Luke's undercurrent of sadness with Charlotte's fear and frustration to create a heart rending story of pain, despair, hope and fighting back. Although The Bogan Mondrian could be set anywhere in the world, there is always something uniquely Australian about Steven Herrick's characters. I expect this latest masterpiece to become an Australian classic.